FTEcu Yamaha R1 2017 / R1M 2017 / R1S 2017-2019 (See separate listing for 2015-2016 models) ECU Based Auto-Blipper Kit. Works great with the "GravesSpec" FTEcu map and when activated allows for smooth up-shifting and downshifting without using the clutch! With this kit and your flashed ECU you can downshift smoother than would otherwise be possible without pulling the clutch! 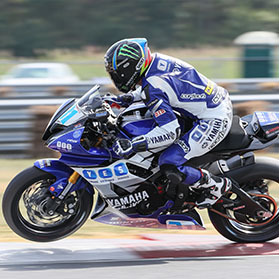 The latest generation of R1 models is finally capable of producing smooth fast clutch-less downshifting! After three years of development we are proud to release the best auto-blipper available. QSS/Blipper Harness to connect your new sensors to your ECU (Select Stock or Kit Harness from the pull down menu).